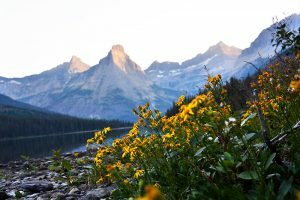 Who are RDNs in Montana? Learn about policy issues affecting nutrition and the dietetic practice. Check out the Academy’s website (http://www.eatright.org/) regularly and look for weekly email messages that include helpful tools. Participate in MTAND or Academy Action Alerts by contacting our federal congressional members (two Senators, one Representative) when asked to advocate for a nutrition issue. Join and actively participate as part of the Public Policy Panel and Public Policy Committee for MTAND. Meetings are held by conference call and at the annual meeting. Get to know your local legislators and correspond with them about nutrition issues, especially during state legislative session (every other year). Share your story. Talk about the importance of the work you do with family, friends, neighbors, local legislators, federal congressional members or staffers. You know the work you do best, communicate that proudly and with pride. If dietetics is your profession, policy should be your passion! Public Policy Coordinator (PPC): This position is the liaison to the Academy’s staff with policy issue responsibilities. This position coordinates federal action alerts and leads planning for the Academy’s public policy workshop (PPW) activities. State Policy Representative (SPR): This position tracks state legislative issues. This position takes the lead on coordinating appointments with the Governor’s office, state legislators and during state legislative session. State Regulatory Specialist (SRS): This position tracks regulatory issues of importance and keeps up to date on current statutes and rules impacting the dietetic practice. Reimbursement Representative (RR): This person serves a local resource for members who have questions about reimbursement issues. He/she helps facilitate the use of the Academy’s coding and coverage resources and leads local advocacy efforts to expand federal and state nutrition coverage policies. Consumer Protection Coordinator (CPC): This position monitors consumer protection issues and their impact on the affiliate’s licensure statute and related issues. This position monitors meetings of the licensure board (Board of Medical Examiners) and reports back to the affiliate board issues pertaining to nutritionist licensure. This position advocates for reporting cases of documented harm to the licensure board. Affiliate Delegate: This position serves as the affiliate’s representative in the House of Delegates (HOD) and keeps the membership up to date on professional issues and represents the Affiliate in the HOD (which is the governing body for the Academy) and develops policies on major dietetic issues.